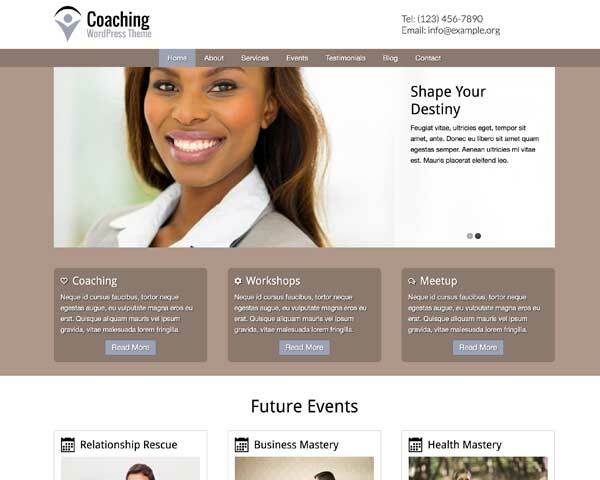 Beautifully present your physical therapy practice online and reach a wider range of patients in need of your services. 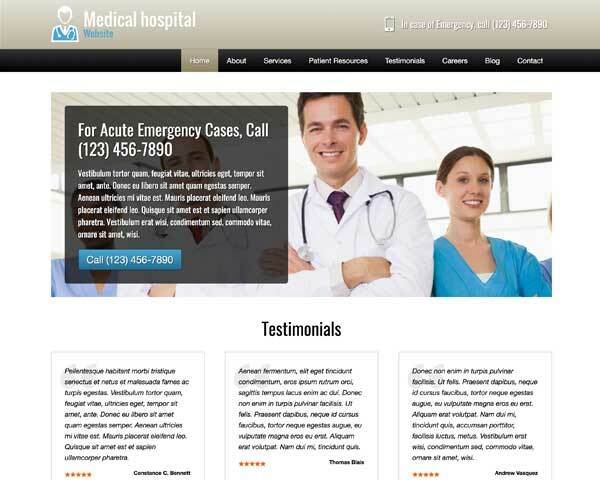 The Physiotherapy WordPress theme helps you get a professional PT website online fast. 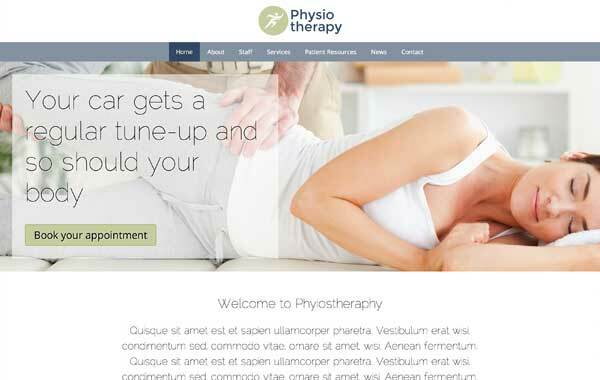 The Physiotherapy WordPress theme is an ideal pre-built website template for physical therapists or any type of practice that specializes in sports medicine, injury prevention or rehabilitative care. 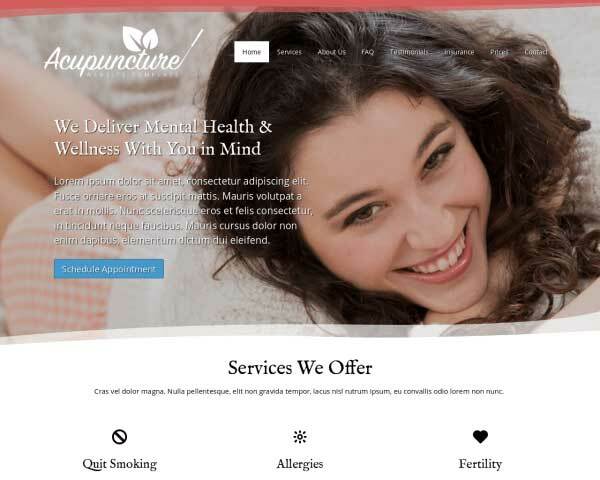 Most of the work is already done for you, with dedicated pages set up for details about your services, insurance information for patients, printable forms, FAQs, a news blog and so much more. Your new website will be up and running within minutes of activation so all that's left to do is replace the placeholder content with your own photos and text. This premium WordPress theme includes helpful features that would normally require extra plugins or complicated coding, such as built-in forms, lightbox image galleries, social media integration and solid responsive design that looks great on any mobile device. No coding skills are required to give your website a custom look and feel thanks to our unique front-end editing tool, and maintaining your content is simple and manageable even if you've never worked on a website before. 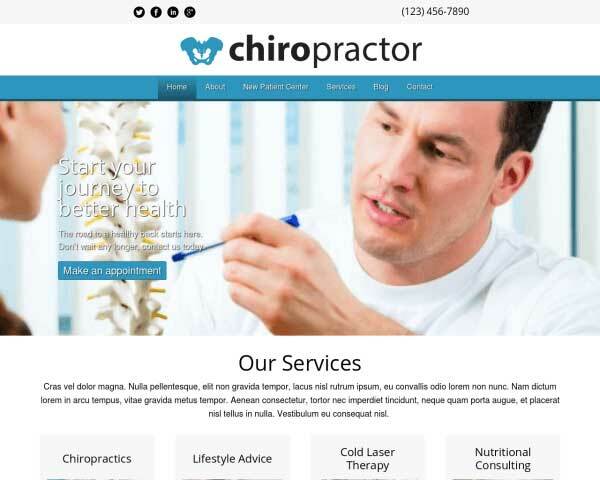 Take a look at the demo site and try it risk-free for three days to see how just how easy it is to build a comprehensive website for your physical therapy practice with the Physiotherapy WordPress theme. 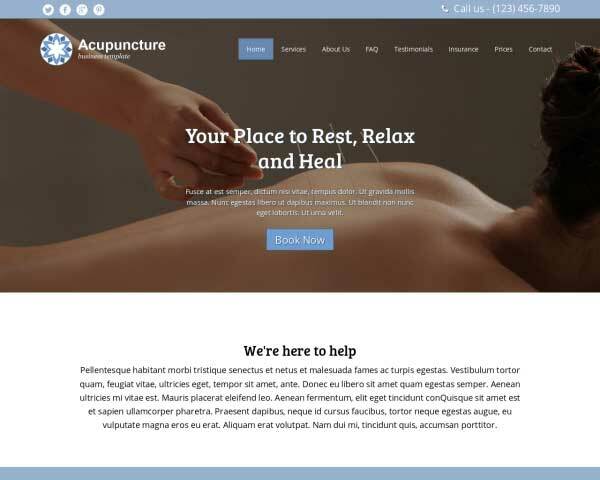 Focused on delivering content the best way possible, the Physiotherapy WordPress Theme is built to help you generate relevant traffic to your site by easily adding blog posts on a regular basis. Before creating the Physiotherapy WordPress Theme, we researched to find out the specific business needs of physiotherapists in order to offer you the best match for your business. 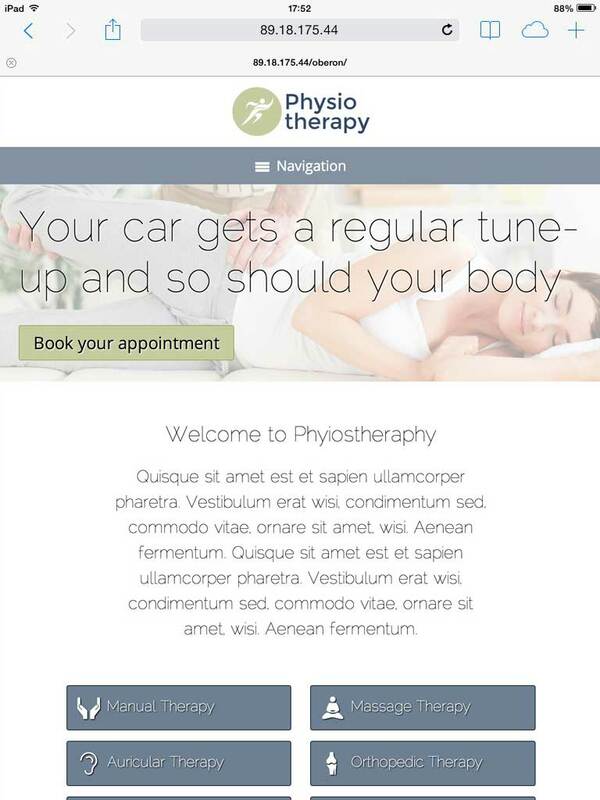 On every page of this WordPress theme for physiotherapists, visitors are encouraged to take action and get in touch. Mobile visitors can just tap on your phone number to dial. The Contact page on the Physiotherapy WordPress Theme offers much more than just your contact details, with an integrated Google map, route planner and customizable contact form. The Physiotherapy WordPress Theme includes a dedicated page for all the important info about insurance matters that patients need to know before planning their visit. Offer answers to the most frequently asked questions on the Physiotherapy WordPress Theme's FAQ page. It's filled with placeholder text and ready for your own content. 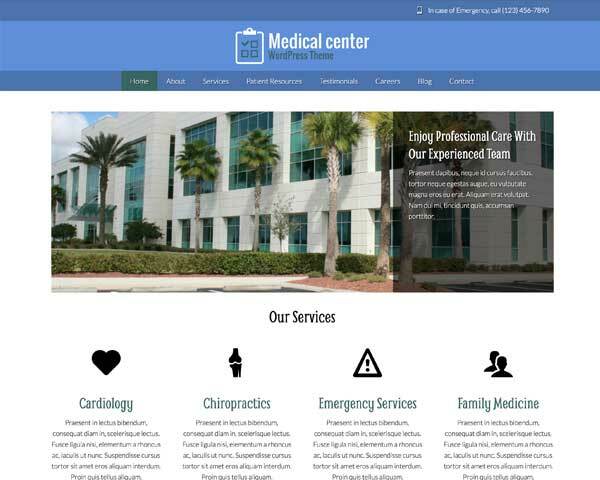 This WordPress theme for physiotherapists allows you to include PDF forms that visitors can click to download and print. 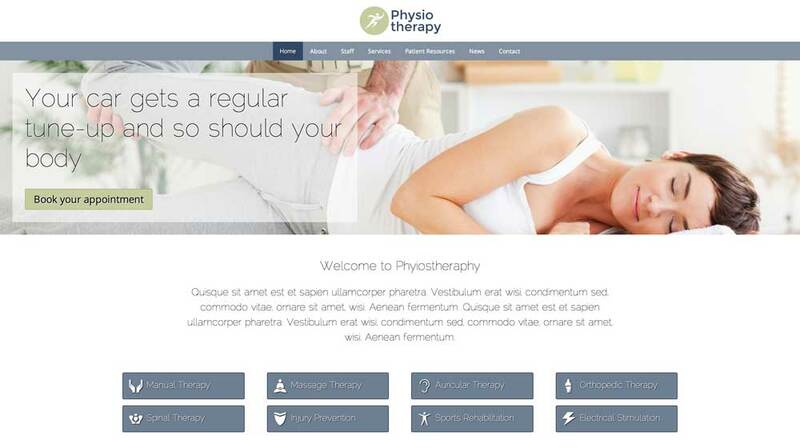 We've set up the Physiotherapy WordPress Theme with pages for details about each of your services and business solutions to help get your website online fast. 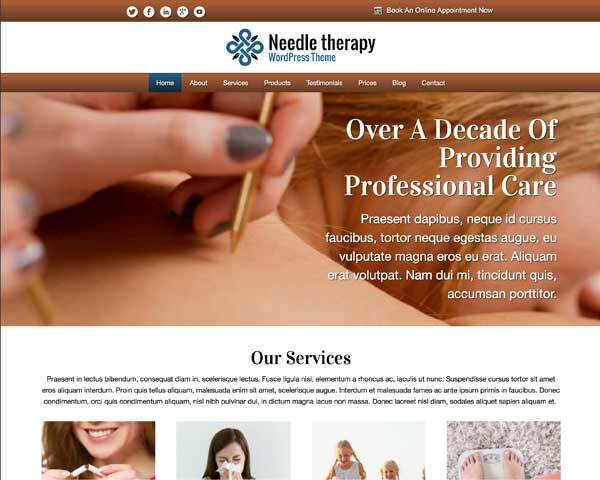 The clean layout of the Physiotherapy WordPress Theme let's your website's visitor know instantly what solution you can offer for their respective problems. Add a personal touch to this WordPress theme for physiotherapy practices by introducing each staff member with a photo and short bio. 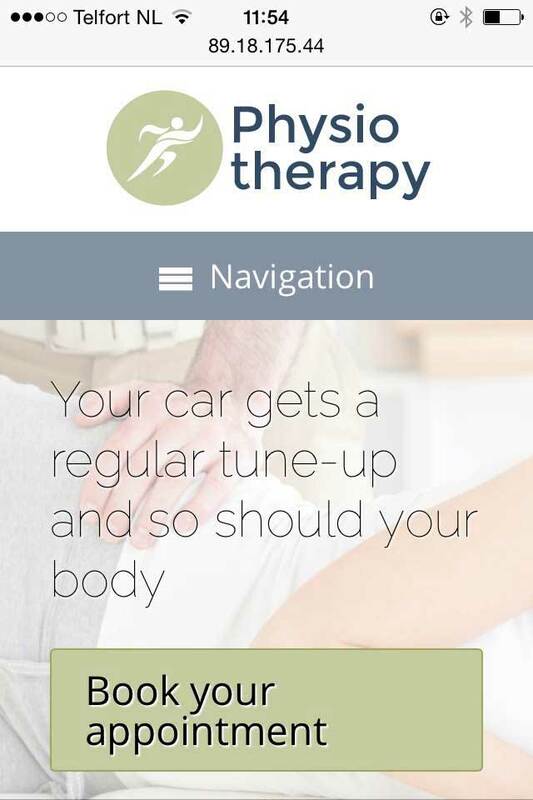 With the responsive Physiotherapy WordPress theme, you can be sure that visitors accessing your website on smartphones and tablets will be treated to the same professional look and user-friendly functionality of the desktop version. 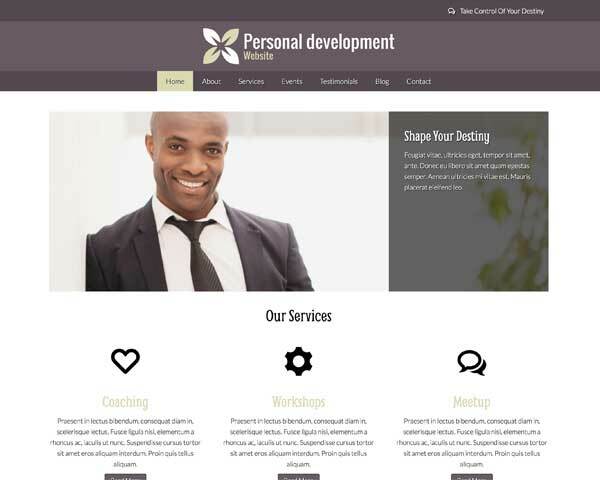 This website template's mobile-optimized design will automatically adjust the layout of your content to fit neatly on any screen size, without any tedious coding or extra plugins required. Mobile visitors will enjoy the added benefit of being able to simply tap on your phone number to dial and get in touch even while on the go.